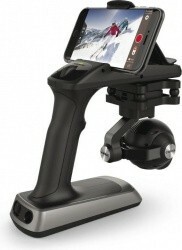 woot.com has the Yuneec Action Cam 4K Video Camera with Gimbal and Case for $219.99. Order as many items as you'd like from any or all of woot's 10 sites and your shipping is just $5 for your total order. Posted on 2/18/17 in Camcorders, Woot! 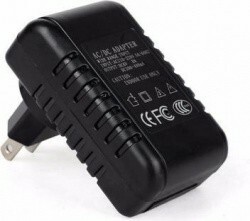 Walmart.com has the ActiveOn CX HD Action Camera with 2" Color LCD Display for $40.00. You will also get free shipping on this item. Amazon.com has the GoPro HERO5 Black 4K Camera with Bonus $60 Amazon Gift Card for $399. Free shipping is also included with this deal. Amazon.com has the Akaso 4K WiFi Action Camcorder with Accessory Kit for $84.99. This item also currently includes free shipping. $50 off! 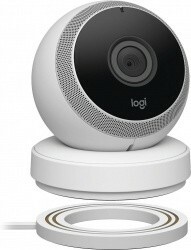 Amazon.com has the highly rated Logitech Circle Wireless 1080p Video Battery Powered Security Camera in black or white for $129.99. Also, free shipping is included with this deal. 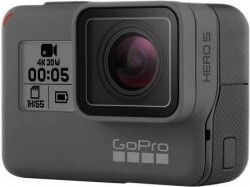 Walmart.com has the GoPro HERO5 Black 4K Camera with Bonus $50 Walmart Gift Card for $399.00. Free shipping is also included with this deal. 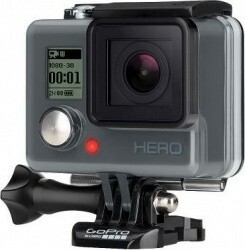 Walmart.com has the GoPro HERO+ 1080p HD Action Camcorder for $139.99. This item also currently includes free shipping. 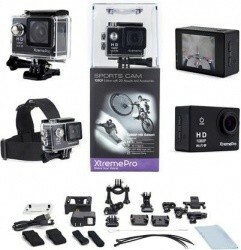 Groupon has the XtremePro HD 1080p WiFi Sports Camera Bundle for $79.99. You will also get free shipping on this item. 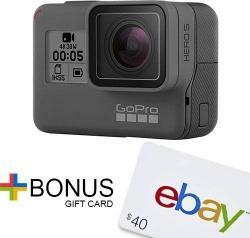 Electronics Valley via eBay has the GoPro HERO 5 Black 4K Video Camera with $40 eBay Gift Card for $399.00. This item also currently includes free shipping. In addition, you'll earn at least 2% back in eBay Bucks to use on a future eBay purchase. GoPro via eBay has the refurbished GoPro HERO3+ Silver Edition HD Video Camera for $149.00. Also, free shipping is included with this deal. You'll earn at least 2% back in eBay Bucks. See our eBay Bucks guide here. $50 off! Amazon.com has the highly rated Logitech Circle Wireless 1080p Video Battery Powered Security Camera in black or white for $149.99. Also, free shipping is included with this deal. 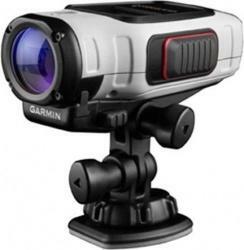 Northwest Outdoor via eBay has the refurbished Garmin Virb Elite 1080p 16MP GPS WiFi Action Camera for $89.99. Free shipping is also included with this deal. GoPro via eBay has the refurbished GoPro HERO4 Silver Edition 4K Camcorder for $273.99. This item also currently includes free shipping. In addition, you'll earn at least 2% back in eBay Bucks to use on a future eBay purchase. 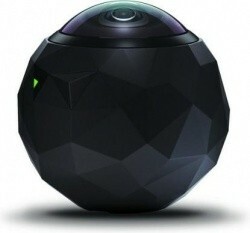 REI has the 360fly 360-Degree HD Video Camera in Black for $224.94, price will fall in cart. You will also get free shipping on this item. Deal ends Thursday. Choice of 6 colors! Groupon has the iPM 4K Ultra HD 12MP Action Camera with WiFi and Waterproof Case for $64.99. This item also currently includes free shipping. Groupon has the Gear Pro HD 1080p 12MP Action Camera with 2.4" Touchscreen for $59.99. Also, free shipping is included with this deal. 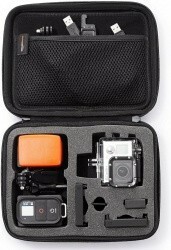 Amazon.com has the AmazonBasics Carrying Case for GoPro Cameras, Small for $10.99. Free shipping with Amazon Prime. Don't have Prime? Get a free 30-day trial, otherwise get free shipping on $49 or more. Groupon has the Gear Pro HD 1080p 12MP Action Camera with 2.4" Touchscreen for $49.99. Also, free shipping is included with this deal. GoPro via eBay has the refurbished GoPro HERO4 Black Edition 4K Video Camera for $364.99. Free shipping is also included with this deal. In addition, you'll earn at least 2% back in eBay Bucks to use on a future eBay purchase. 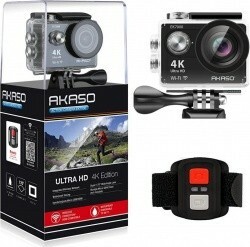 Groupon has the ActionPro-X HD 1080p Action Camera with Wrist Remote for $89.99. This item also currently includes free shipping. GoPro via eBay has their factory refurbished GoPro HERO4 Black Edition 4K Video Camera for $329.00. This item also currently includes free shipping. In addition, you'll earn at least 2% back in eBay Bucks to use on a future eBay purchase. All New Shop via eBay has the GoPro HERO4 Silver Edition Camera with 64GB Card, 30-Piece Kit for $379.00. You will also get free shipping on this item. You'll earn at least 2% back in eBay Bucks. See our eBay Bucks guide here. 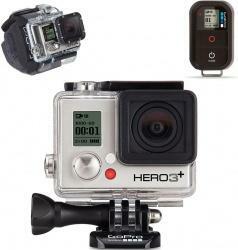 GoPro via eBay has the refurbished GoPro HERO3+ Silver Camera with Remote & Wrist Housing for $169.99. Shipping is $12.00. You'll earn at least 2% back in eBay Bucks. See our eBay Bucks guide here. 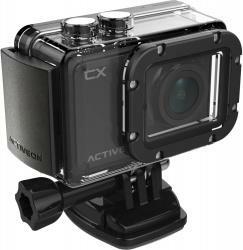 Groupon has the ActionPro-X HD 1080p Action Camera with Wrist Remote for $99.99. You will also get free shipping on this item. eBay has the refurbished GoPro HERO3+ Silver Edition HD Video Camera for $149.99. Free shipping is also included with this deal. In addition, you'll earn at least 2% back in eBay Bucks to use on a future eBay purchase. Groupon has the iPM Hidden Surveillance 1080p HD Security Camera with WiFi for $69.99. Also, free shipping is included with this deal. 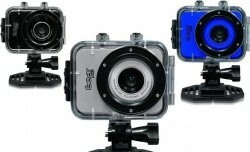 Target.com has the GoPro HERO HD Waterproof Action Video Camera for $99.99. You will also get free shipping on this item. 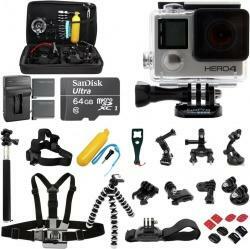 GoPro via eBay has their refurbished GoPro HERO3+ Silver Edition HD Video Camera for $149.99. You'll earn at least 2% back in eBay Bucks. See our eBay Bucks guide here. 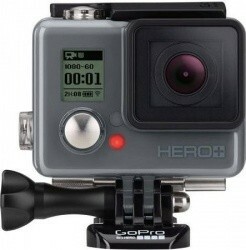 GoPro via eBay has their factory refurbished GoPro HERO3+ Silver Edition HD Video Camera for $149.99. Free shipping is also included with this deal. In addition, you'll earn at least 2% back in eBay Bucks to use on a future eBay purchase. 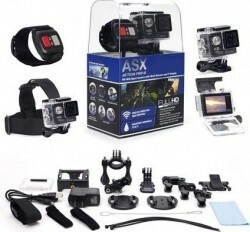 Blinq via eBay has the ASX ActionPro HD Sports Camera Bundle with Accessory Kit for $65.99. You will also get free shipping on this item. 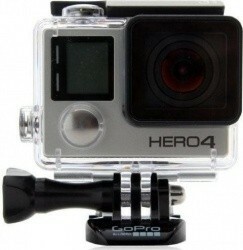 eBay has the GoPro HERO4 Silver Edition 4K Camcorder for $319.00. Free shipping is also included with this deal. In addition, you'll earn at least 2% back in eBay Bucks to use on a future eBay purchase. 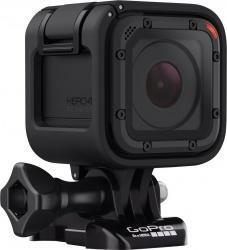 GoPro via eBay has the refurbished GoPro HERO3+ Silver Edition HD Video Camera for $179.99. This item also currently includes free shipping. In addition, you'll earn at least 2% back in eBay Bucks to use on a future eBay purchase. Amazon.com has the AmazonBasics Carrying Case for GoPro Cameras, Small for $9.99. Free shipping with Amazon Prime. Don't have Prime? Get a free 30-day trial, otherwise get free shipping on $35 or more. 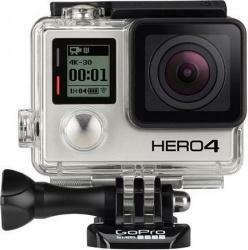 GoPro via eBay has the refurbished GoPro HERO3+ Silver Edition HD Video Camera for $155.00. This item also currently includes free shipping. In addition, you'll earn at least 2% back in eBay Bucks to use on a future eBay purchase. 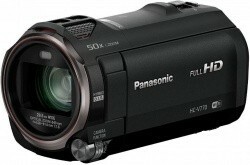 Amazon.com has the extremely highly rated Panasonic HC-V770 HD Camcorder with WiFI, 20x Zoom for $497.99. Also, free shipping is included with this deal. 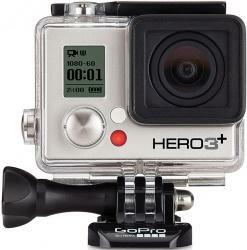 GoPro via eBay has the refurbished GoPro HERO3+ Silver Edition HD Video Camera for $159.00. This item also currently includes free shipping. In addition, you'll earn at least 2% back in eBay Bucks to use on a future eBay purchase. Rakuten.com has the GoPro Hero 4 Black Edition 4K Action Camcorder for $359.99. Also, free shipping is included with this deal. Your purchase will also earn you Rakuten Superpoints which you can use on a future purchase. Amazon.com has the GoPro HERO4 Session 1440p Video Camera w/ Free $40 Amazon Gift Card for $275.00. You will also get free shipping on this item.